The Natal Drakensberg has a network of paths and trails that cover the sandstone hills and valleys of the little berg all the way up to sheer trails that wind torturously up the passes that are the occasional chinks in the formiddable basalt wall that is the main escarpment and run along the high alpine country beyond. The series of 1:50 000 maps by Peter Slingsby covers the whole Natal Berg in six sheets and are essential to runners and hikers here. These are available at certain news agents and the KZN Ezemvelo berg reserve offices. They show all paths with distances as well as caves where you may overnight and vegetation cover. The berg is primarily grassland. Afro montane forests are found on the moister south facing slopes of the little berg and valleys up to 1800 m asl. Above 2000 m Leucosidia boulder bed scrub and ouhout trees are found in the valleys. On the escarpment summit short alpine suited grasses occur. Various small mountain antelope live in the berg but larger species such as eland are also common in certain areas. The bark of the chacma baboon is a common sound in the berg and they are found at all elevations. Eagles and raptors find home amoungst the high cliffs of the main escarpment with the lammergeier or bearded vulture being one of the most majestic. They are often sighted in the Mnweni area. The Mnweni area is one of the remotest parts of the Natal Drakensberg and the most dramatically beautiful section of the high berg with many basalt spires and pinnacles. It is situated in the northern section of the berg between the Royal Natal National Park and Cathedral Peak reserve area. 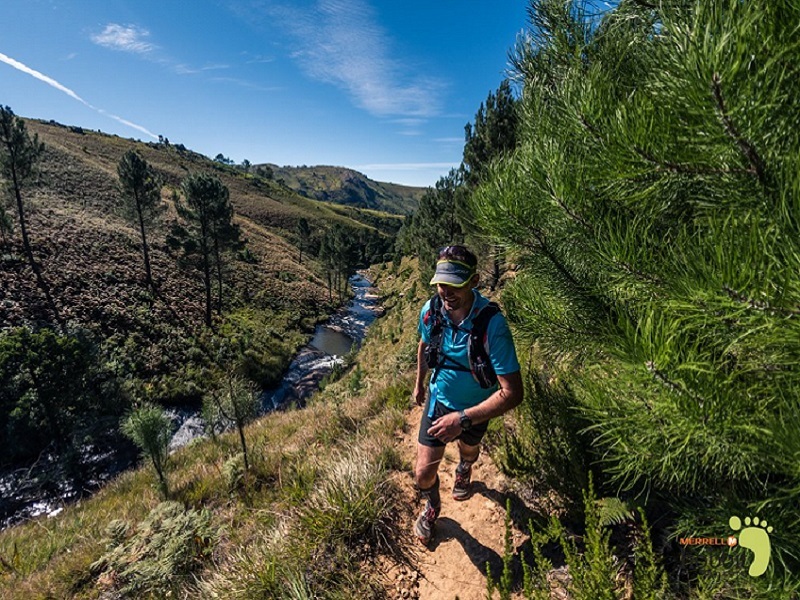 It is the only section of the main Natal berg that does not fall under the provincial parks authority and their restrictive rules and the Mnweni marathon run in this area is therefore the only trail run in the entire Natal berg without a significant stretch on gravel road. The Mnweni cultural centre is the only accommodation available in the Mnweni valley. It is well run as a community project and they do deserve your custom. Other guesthouse and B&B is available further afield. .
Accommodation fees are payable to Agrippa on arrival. Camping is available at the Mnweni cultural centre and does not have to be booked beforehand. Very comfortable but limited rondavel accommodation is also available, with linen provided. This must be booked by phoning or SMSing Agrippa on 072 712 2401 (Reception in the area is poor – the SMS option is preferable). There is also dormitory accommodation that can be booked through Agrippa. The entire Natal Berg is a wilderness area and camping is permitted apart from in the immediate vicinity of the entry points and certain caves that contain bushman art. This is however wilderness camping and there are no facilities at all. 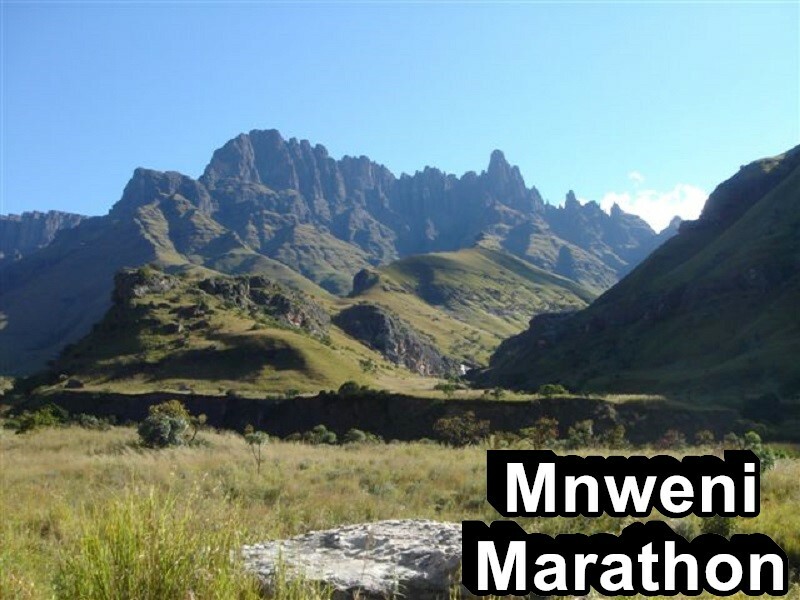 The Mnweni marathon follows the most popular hiking route in this part of the Drakensberg and the route is open at all times of the year to the public. The route starts at the Mnweni cultural centre and winds its way into the berg alongside the Mnweni river. There is a well trodden path that is used by the local inhabitants to get to their huts and to travel up the Mnweni pass into Lesotho. This trail often consists of multiple parallel trails but generally makes its way up the Mnweni valley, sticking on the left hand bank up to the Shepherd’s cave area. In two sections, the path gains height above the river but in both instances the river section thus skirted contains some of the most impressive pools to be found in the berg and it is worthwile to divert to see these. After about 15 Km the trail crosses the Mnweni river for the first time and a kilometre later takes you past Shepherd’s cave, a popular overnight spot for hikers. At this point you have climbed from 1200 m at the start up to 1650 m asl at the cave and one is in the remote upper reaches of the Mnweni valley. The trail continues for another five kilometres up the river valley, often crossing the river to the base of the Mnweni pass at around 2000 m asl in the Mnweni cutback. Over the next 2.5 km up the pass you climb almost 1000 m to the summit plateau. There is a roughly level section for two klometres across the top where the Orange river is crossed virtually at it’s source. The descent is via the aptly named Rockeries pass that takes you past the spires of the Rockeries and the imposing saddle on the other side for a six kilommetre bone jarring descent before the route levels out more for the last faster ten kilometres through the lower reaches of the little berg back to the start point, descending down the Ntonyelana river valley. The Mnweni marathon was born in the midwinter of 2000 when trail-running legend Bruce Arnett and friend Mark Tannian pioneered the original route of this race, starting their hike in clear sunny weather from Isandhlwana Police Station and ending, about 50 kilometres and a raging blizzard later, at Club Maluti. The allure of the challenge grew, and the first running of the point-to-point route as a race took place in January 2001. 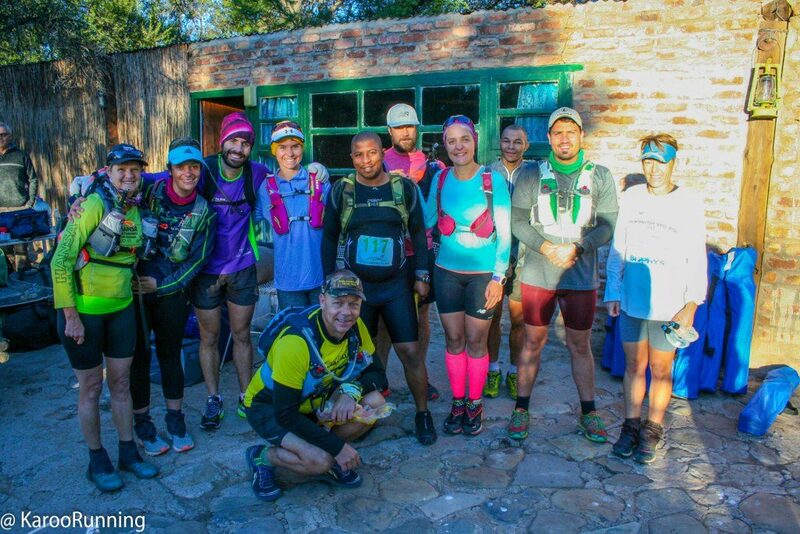 11 runners took part in what was to all intents and purposes a gathering of friends who had set themselves to conquer the route. 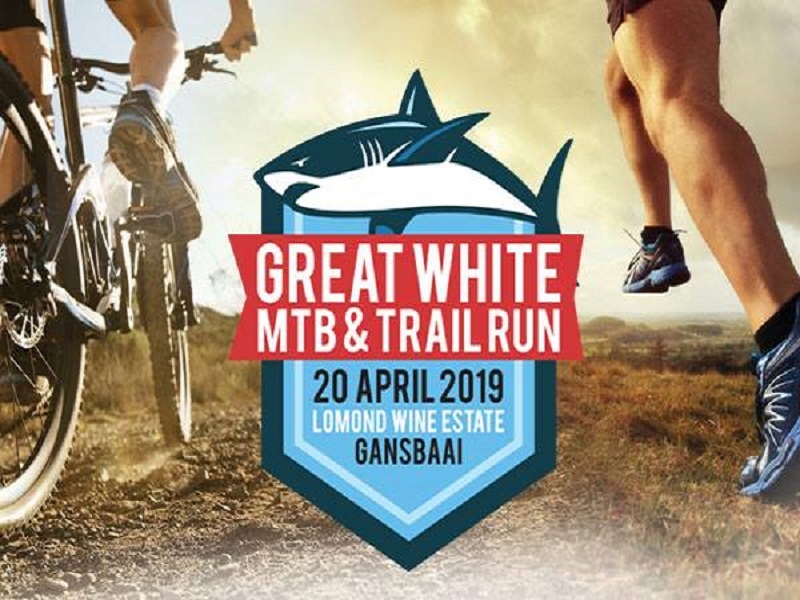 In 2002 the route was changed to today’s circular and less extreme format due to the logistical difficulties associated with a linear race that spanned such extreme terrain. Over the years, entries have grown, largely by word of mouth, but recently through listings on internet and other trail running schedules, from about 30 in 2006 to around 70 in 2010 to the event being fully subscribed with the 100 runner limit being reached in 2012 , many of them now on an “annual pilgrimage”, and confirmed members of the Mnweni family. Bruce Arnett, besides being the founder of the Mnweni race is also a well known trail runner having won multiple times and set course records(many of which still stand) for races that include: Puffer, Four Peaks Challenge, Skyrun(12 wins), Table Mountain Challenge, Addo 100 miler and his own Mnweni Marathon. This 38 Km run involves ascending from 1200 m asl to 3000 m on the berg summit in Lesotho, a total climb of 1800 m.
You will run through pristine wilderness. People who follow you will want to do the same. Please treat the area with respect and make sure that you do not drop litter, or cause any harm to the environment you are enjoying. Help by picking up any litter you may see on the trail. The start time is 6 am, and the cut-off for official finishers is at 18h00 hours. If you have not begun the ascent of the Mnweni pass by 11h00, you will be turned back and accompanied to the start by a marshal.